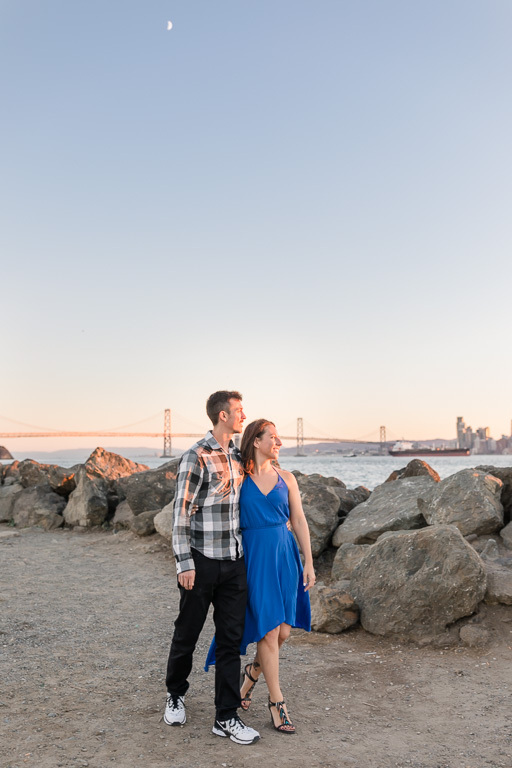 Treasure Island has always been one of my favorite places for photos, yet it’s often underappreciated and overlooked. 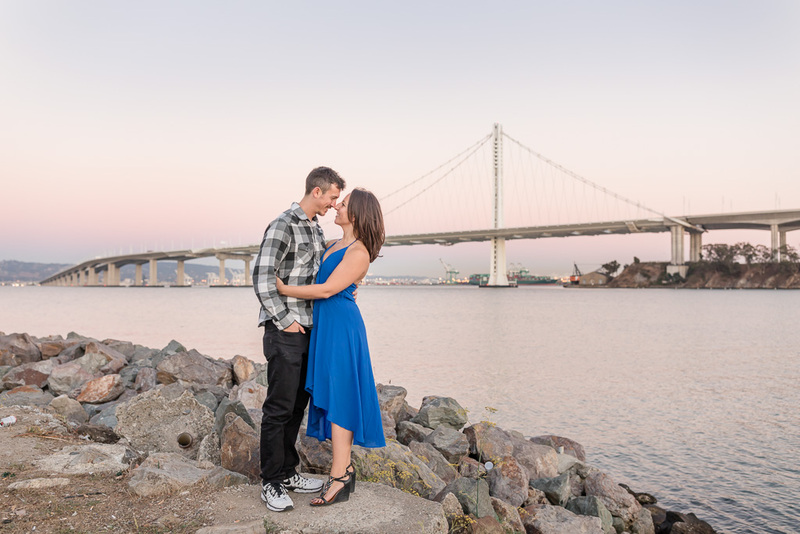 It offers a beautiful view of both the San Francisco city skyline and the Bay Bridge, and the sunset colors are just amazing. 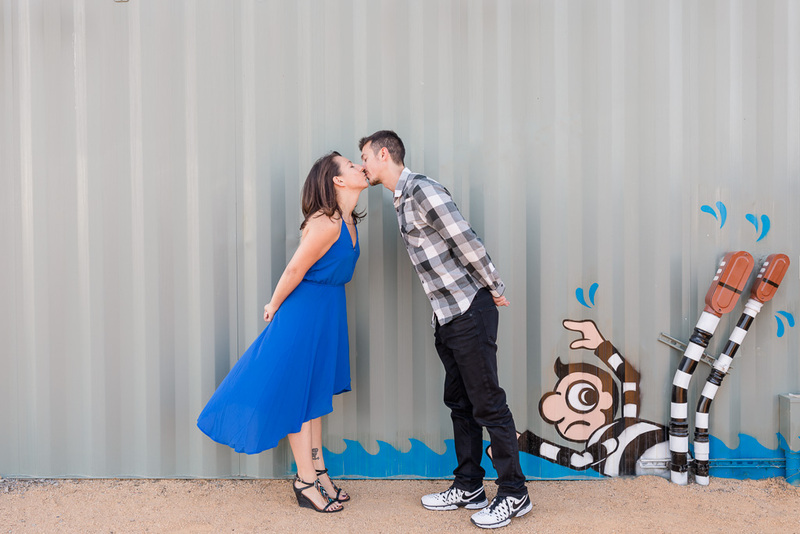 Anoushka & Chris are getting married next year in Greece (what a dream! 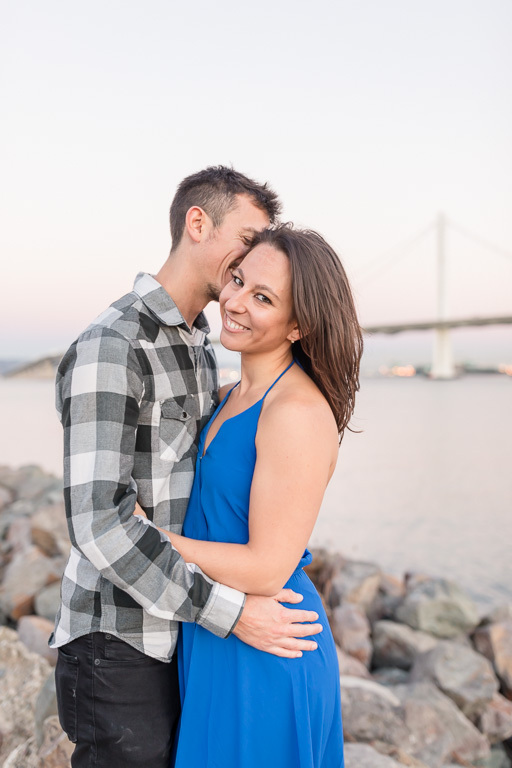 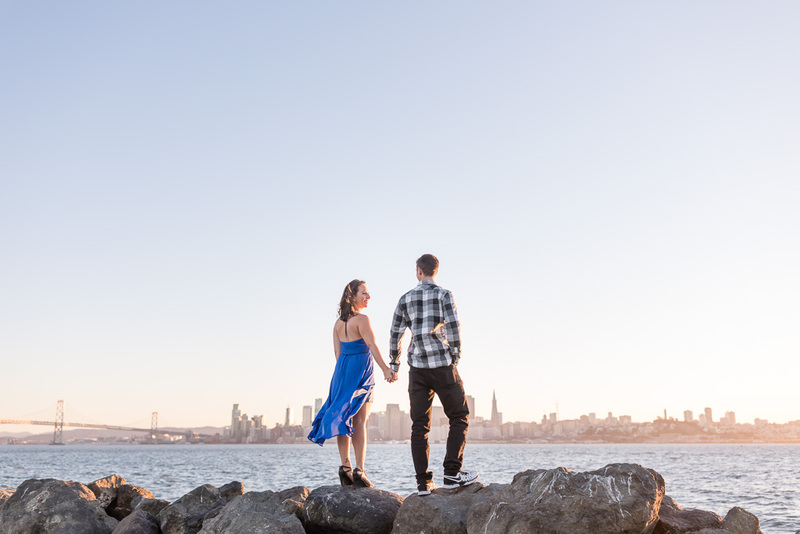 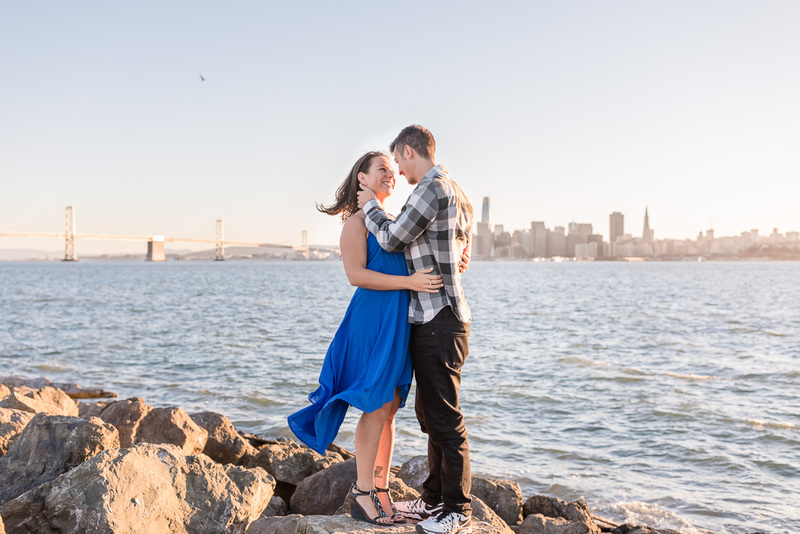 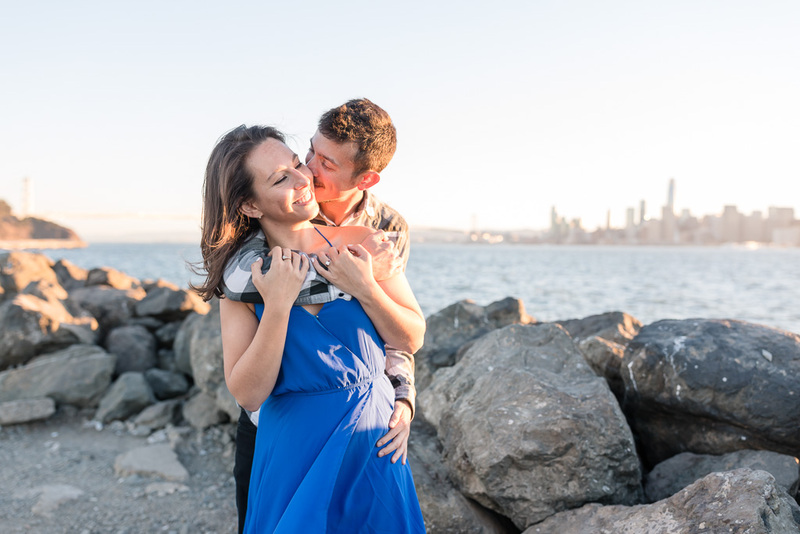 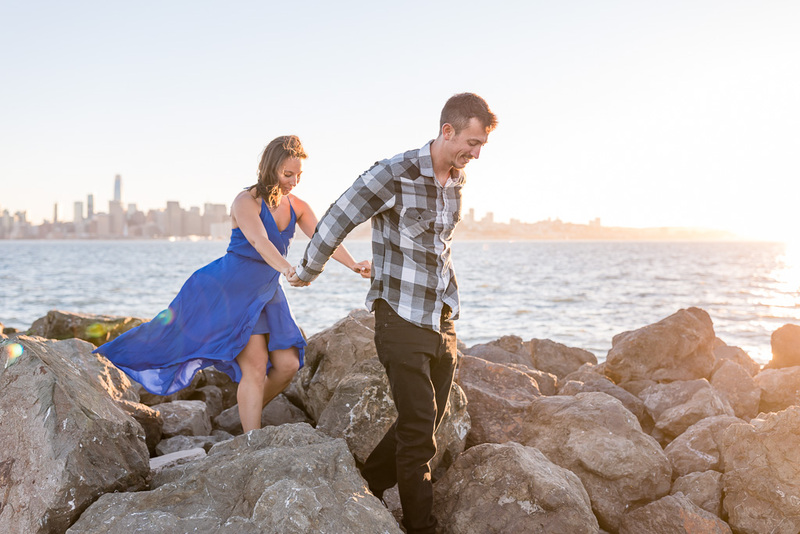 ), and to capture some flavor from their home city of San Francisco, they decided to take a set of Treasure Island engagement photos. 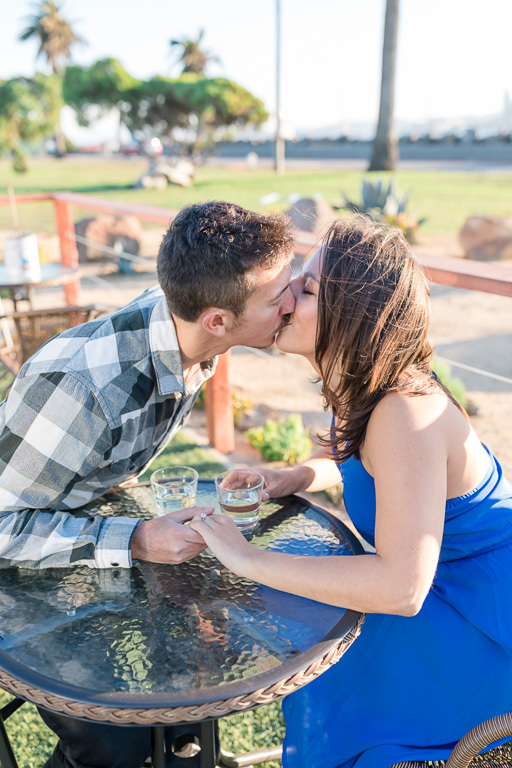 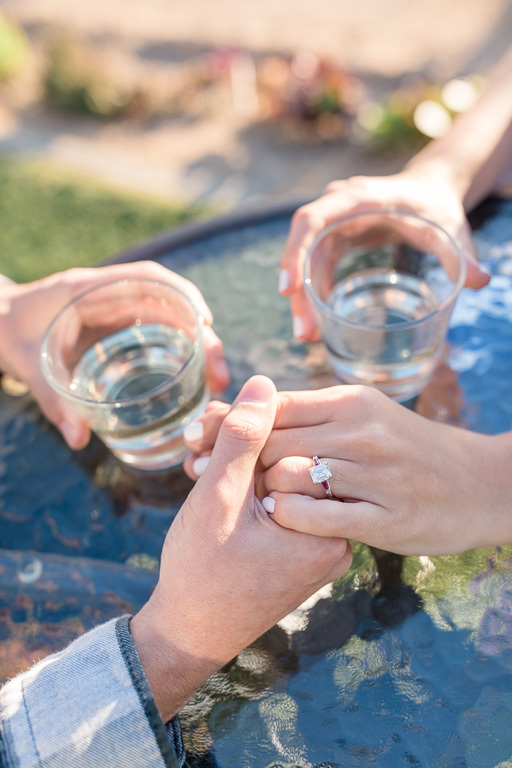 We started out at the cute little Mersea restaurant, where our happy couple had a little bit of wine to loosen up… which perhaps should be standard protocol for every engagement session from now on 🙂 They were a lot of fun and I really enjoyed our shoot together. 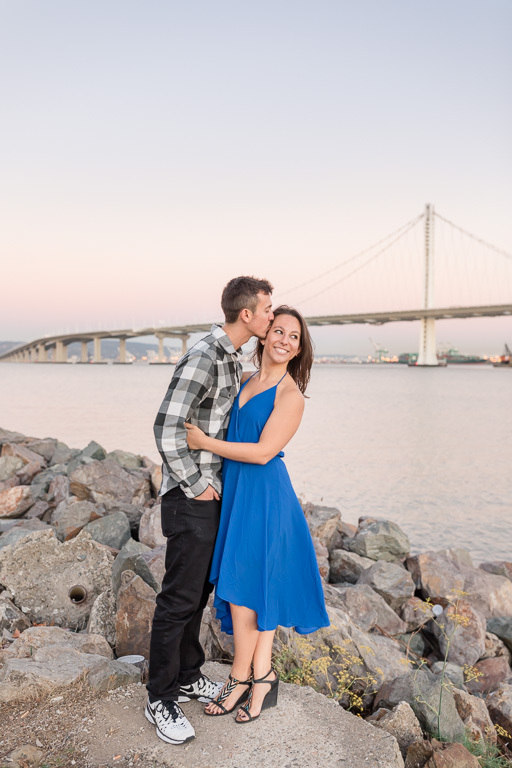 I love how they look in these and can only imagine how wonderful their wedding will be!